Strollers are a required purchase for nearly all parents, but paying top dollar for these baby transportation systems is totally optional. If you’re looking for ways to save, check out our top budget-minded tips for getting the best deal on a stroller. Unlike some other consumer purchases, buying a stroller can’t always be put off or timed according to retail sales. Sometimes, when you need a stroller, you need a stroller. But in the nine months before your new baby arrives, you can maximize your chances of getting a great price by thinking ahead. If possible, buy your stroller in November. According to Consumer Reports, this is the best month of the year to find sales on all things baby-related, including strollers. 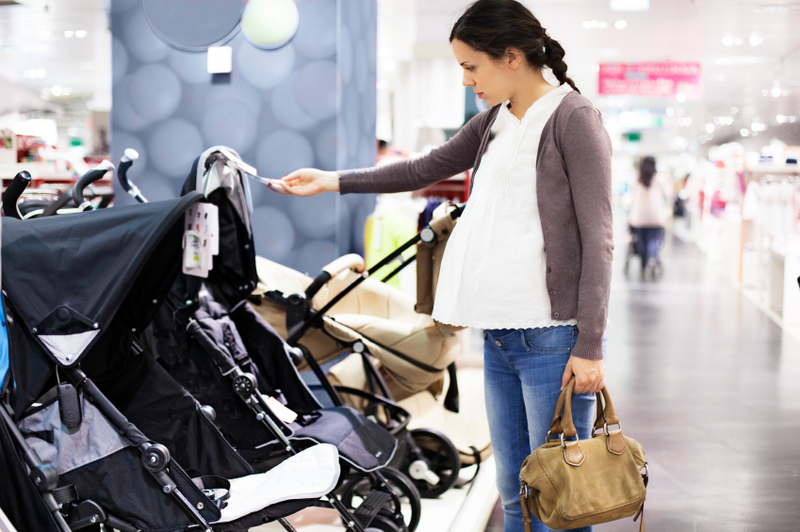 If a fall purchase isn’t an option for you, look around for retail store baby sales. With a little bit of searching, you can find sales from retailers as diverse as Babies R Us and Amazon. Or, register for the email alerts from your favorite stores so you never miss a stroller discount opportunity. Try to get the most out of your new product by maximizing its efficiency. If you may be having another child in the future, consider purchasing a stroller that can seat two little ones, to avoid having to buy a new one down the road. Finally, before settling on a stroller, try to plan how you’ll use the product and, if possible, incorporate multiple functions. For example, some strollers are sold in “travel systems,” which include both a stroller and car seat. If you also need car seat, consider purchasing a travel system. Price these out to see if buying a combo package will be more affordable than purchasing a stroller and car seat separately. In some cases, a travel system may be a better buy. Similarly, if you plan on taking your child on walks or jogs with you, you may want to opt for one product that can serve all purposes. For example, consider just a jogger stroller instead of purchasing both a standard stroller and a jogger. As with any product, make a purchase that best suits your needs. With a little work, it’s possible to pick a stroller that fits both your lifestyle and your budget. Looking for the best deal on more than just strollers? Check out more helpful suggestions for snagging great prices on everything from vacuums to juicers.